I have enjoyed Sandra D. Bricker’s Creations by Emma Rae series that take place at the Tanglewood Inn. 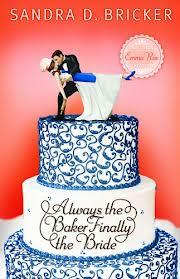 In the final book, Always the Baker Finally the Bride, Emma Rae, the diabetic baker who has walked so many couples to their perfect day finally gets her chance, after several novels of her romance with hotel owner, to marry Jackson Drake. 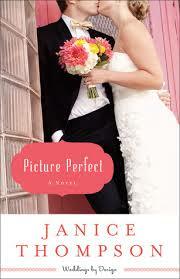 First, let me stay that for humorous romance, Sandi Bricker stands up side by side with another favorite of mine, Janice Thompson. 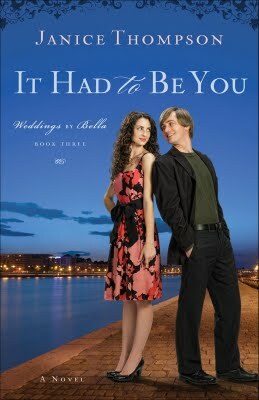 Both write about weddings and put a unique spin and voice that while similar in content in some ways, is refreshing and have me smiling my way through their novels. Emma Rae finally has a ring on her finger and a date on the calendar for her wedding to Jackson but challenges abound on the way including the trauma of Jackson considering selling (gasp!) the Tanglewood! Add to that family issues, people who might not make it, Emma’s stress induced health issues, Jackson’s fear of losing her like he did his first wife, ultimately topped off by a wedding cake designer who can’t seem to come up with her own wedding cake! And then the big question: Will they get to live their dream of a year in Paris where Jackson writes the books he’s always wanted to write and Emma takes classes in baking? Throw in a lot of other fun disasters and you won’t be able to put this book down. The drama never ceases but the love and the familial (blood and some not) relationships that make up this series have never shone brighter. This book is bigger than Emma and Jackson but the relationships they have made over the previous novels comes together beautifully here. In a world where life is lived on the internet rather than in person, this book shines a light on the importance of the relationships with the people around us. Sandi does this brilliantly and this book was definitely the icing on the cake for her series. I’m sad the series is over. It would be fun to follow Emma and Jackson into their future adventures (along with the friends and family that are so integral to their lives) so, Sandi, if you read this, take the hint for what it’s worth, keep going! You have a winner here; and thank you for writing such a fun and entertaining series. I think I gained ten pounds just salivating over the luscious deserts described in here.